An accelerator programme for Internet of Things (IoT) businesses has launched in Wales. The ‘Internet of Things Accelerator Wales’ (IoTA Wales), created and designed by The Accelerator Network, Innovation Point, Barclays Eagle Labs, Inspire Wales and the Development Bank of Wales, is looking for businesses from outside Wales to apply. 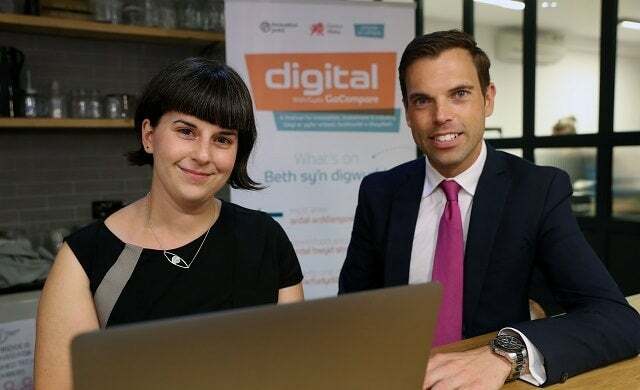 Running for 12 weeks, the programme will accept ten “up and coming” start-ups who will receive £50,000 investment for 10% equity, as well as access to academic expertise and free office space via Barclays Eagle Lab in central Cardiff. Firms operating in the cyber security, energy, manufacturing, education and agricultural sectors are all advised to apply – with Sony, Airbus Group Endeavr Wales, Cardiff University, Sorenson Media, Business Wales, TechUK, Pinnacl and RS Labs all signed up as partners. Connecting tangible devices via the cloud, examples of IoT tech includes phones, smart fridges, wearable tech and medical devices as well as smart kettles. IoTA Wales comes at a transformative time for Wales’ tech scene, following September’s signing of a deal for a south Wales home for the world’s first compound semiconductor cluster, CS Connected, the first investment under the £1.2bn Cardiff Capital Region city deal programme. The cluster is expected to attract £375m in private investment and create 2,000 well paid and highly skilled jobs in the region, working on the technology behind the future of robotics, AI and driverless cars. “The appetite amongst tech entrepreneurs has never been greater, with the number of individuals turning their business idea into a reality growing year on year – yet still 50% of all start-ups in the UK fail within the first five years. The organiser of London’s biggest IoT meet up, Alexandra Deschamps-Sonsino, named the most world’s most influential IoT expert (Postscapes, 2016), claims Wales has a competitive advantage over London which it needed to capitalise on to make the most of the trend’s opportunities. Thinking about starting a business in Wales? Read our Start-up Cities guides of Cardiff and Swansea. “Wales is a dynamic nation that is home to some of the most innovative companies in the world. As we prepare to leave the EU, I want Welsh innovators to seize the opportunities available to expand their companies and help us trade on the global stage. Applications for The Internet of Things Accelerator Wales are now open until midnight on Saturday 9 December 2017. For more information or to apply click here.